Here’s a new Dungeons And Dragons Painting of my wifes character in a new World of Greyhawk campaign. This is old school pen and paper gaming, not computer games. Anyway, meet Rina the Rogue. 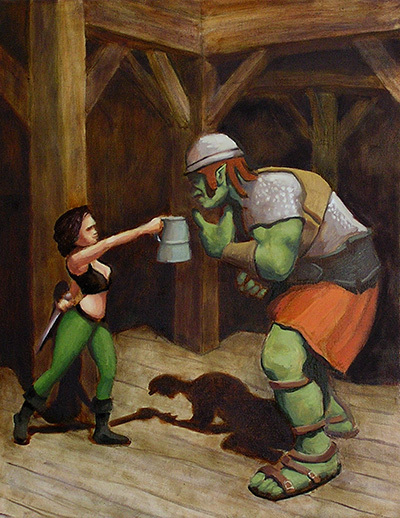 She’s about 4′ tall, and in the painting is offering a Orc a tin tankard of Ale whilst a dagger is hidden discreetly behind her back.